Right on time for the Olympics in Rio, the amount of wearables available has increased for everyone, from the average athlete to the ambitious marathon runner. It has become a modern day trend for a person to analyze and track themselves during sports and exercise. Today we are tracking cosinuss°, who promise comfortable and precise pulse measurement without a chest strap and let us know what makes their technology stand out from the rest. The two founders and CEOs, Dr. Johannes and Greta Kreuzer, currently lead a team of nine who are developing a solution for monitoring different vital signs at the ear. The success of the startup is demonstrated by the multitude of prizes they have won since their founding, such as the German Smart Business Award in 2013, or the HVB Mentoring Program in 2012.
cosinuss° develops sensors to continuously measure several relevant vital signs at the ear. 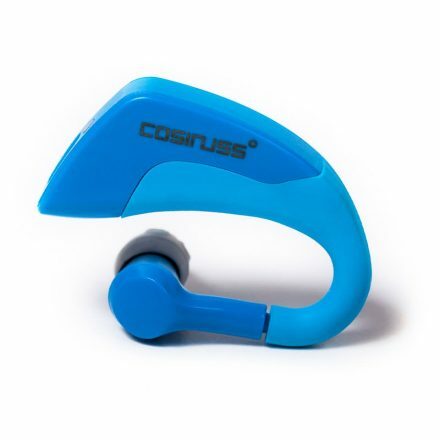 The earconnectTM technology from cosinuss records pulse rate, heart rate variability, body temperature and oxygen saturation in the blood. It then transmits the data to a smartphone/smartwatch, running watch or other end devices. The technology is suitable for sports, medical and occupational safety applications. The wearable monitors an important function of the body, namely body temperature. This means that cosinuss is providing the very first method to easily and precisely observe signs to avoid dehydration, overheating and possible electrolyte or water imbalances. This will make training management and performance determination even more exact and efficient in the future. Until now, it had not been possible to continuously monitor body temperature throughout a normal day; in other words, without restricting a person’s mobility, appearance or scope of action. With the technology developed by cosinuss, it is now possible to collect new data not only during athletic activity but also in many other fields of science. Behind the scenes of the startup are 36-year-old Johannes, who studied electrical and information technology and received his PhD in the field of medical technology from the Technical University of Munich and 30-year-old Greta, who completed her management- and technology-oriented Business Studies at the Technical University of Munich. The two met during judo practice sessions. They eventually became founders after Johannes had received numerous requests for his sensor technology. But doesn’t this technology already exist? The founders are definitely in agreement that this kind of technology does not exist yet: That would be news to our patent attorney! The continuous and mobile measurement of body temperature on its own is unique. Combining vital signs in one device takes it to the next level! Body temperature and oxygen saturation in the blood are the two crucial vital signs in medicine. The startup is currently supplying the sports segment with a high-precision alternative to a chest band, which also measures body temperature. These parameters are extremely relevant for endurance sports in which hydration and body temperature management play a vital role and could decide the results of a race. In August 2015, the Munich startup launched their product cosinuss° One, which replaces a chest belt with an app or running watch. The recorded data can be exported using the app after the activity and then used for further analyses. In the future, the app should provide drinking recommendations, precise calculation of calories and an additional performance parameter for high-precision training management. To achieve these goals, the company is working together with renowned universities, such as Stanford University, the German Sport University Cologne and the Technical University of Munich. The startup has also been able to win over well-known athletes as brand ambassadors. Take Jan Frodeno as an example – Germany’s Athlete of the Year in 2015, current IRONMAN World and European Champion and a global brand ambassador for cosinuss. Frodeno uses the cosinuss° sensors while practicing to monitor his training values in real time and to evaluate them with his coach. There is also a plan for the athlete to participate in and contribute to product development in the future. 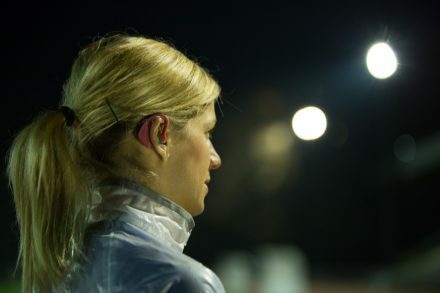 The second brand ambassador got on board in June 2015, namely the triathlete Anja Beranek, who is equipped with cosinuss technology for every triathlon.